Instead of simply acknowledging their pricing strategies, drug companies and their lobbyists have launched a finger pointing campaign at pharmacy benefit managers (PBMs). When it comes to how high they price their products, drug companies want the public to ignore what they spend on marketing and the tax breaks they get for direct to consumer advertising. This isn’t surprising and certainly not unpredictable, but ignores the basic fact: drug companies set the price of the drug. They can charge whatever they feel the market will bear. To combat these massive price hikes, PBMs are hired by employers, unions, and health plans to negotiate lower drug costs for their enrollees. They do this by negotiating with drug manufacturers and pharmacies, developing networks of pharmacies, promoting generic drugs, creating drug formularies, use of lower cost mail service, and managing high-cost specialty medications. One clear example of PBM success is the Medicare Part D prescription drug benefit which is overwhelmingly popular with a 90 percent satisfaction rate among enrollees. In this instance, the drug company lobby isn’t finger pointing, but is curiously praising the private sector model PBMs use to make Part D so successful by stating in their trade organization website; “Medicare Part D plans also negotiate significant discounts and rebates with drug manufacturers to achieve savings on medicines and use them to help reduce premiums, deductibles and cost-sharing for beneficiaries.” Their positive recognition of this practice by the Medicare Part D plans ignores the fact that those same plans hire PBMs to achieve those successes. With skyrocketing drug prices, some employers, and insurers providing health care coverage, are being forced to involve consumers through benefit designs that include higher deductible or increased cost sharing health plans. In response, the drug manufacturers have seized on this, by crying “foul” because it focuses attention on their high prices. They blame the insurers for their benefit designs, instead of taking responsibility for exorbitant pricing of their drugs. The truth is that the payers of health care coverage are doing their best to provide their entire covered population with affordable, high quality health care. Manufacturers have a number of options in altering public perception to their pricing strategies. They can assert that their products are a great value at any price but there is definitely a level where that argument fails. They can also compete on price and refrain from automatic pricing increases that now obviously impact health care affordability. 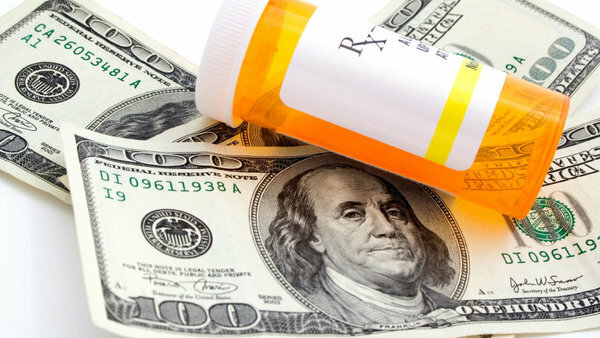 One thing is for sure, if drug manufacturers continue to set high prices, PBMs will be pressed by their customers to negotiate for even steeper discounts and rebates in an effort to shield America’s consumers from the increasingly unaffordable costs.